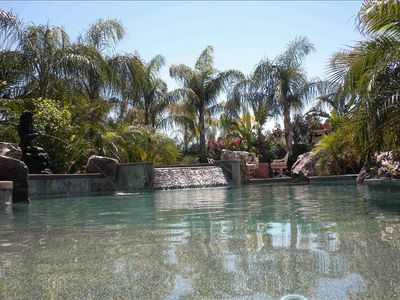 Welcome to your home away from home! 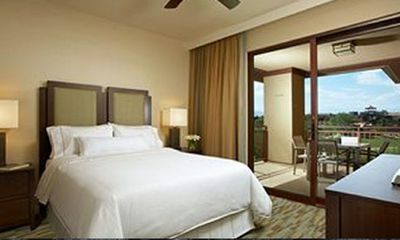 Our beautiful condo has all the comforts of home, yet you’ll feel as if you’re on vacation. 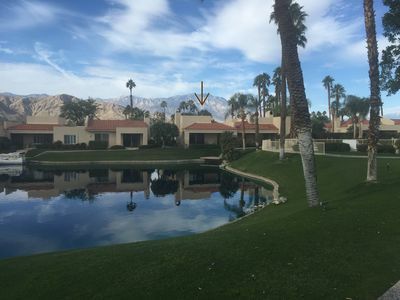 Location – Location – Location! 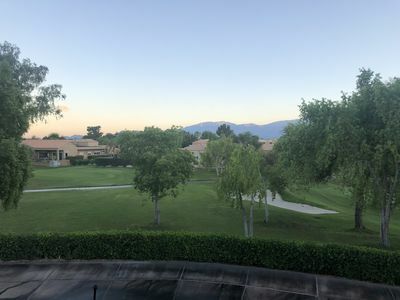 Located in one of the most desirable areas in the desert, Rancho Mirage is very central and just a short drive to downtown Palm Springs, Palm Desert, Indian Wells and La Quinta. 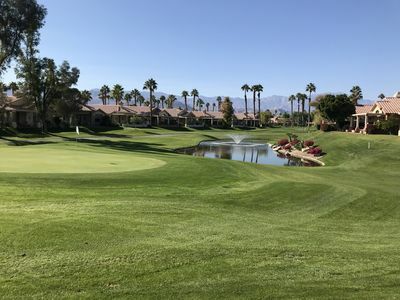 The River shopping and entertainment area in Rancho Mirage, the Indian Wells Tennis Garden, the Agua Caliente Casino, various world renowned golf courses along with fabulous restaurants and cultural activities are just a few of the options this area has to offer. You will not be disappointed! Our peaceful home is nestled in the gated community of Lake Mirage, which offers a clubhouse, 10 tennis courts, 11 pools w/spas, racquet ball courts, basketball court, fitness center, billiard room, locker rooms, 3-hole chip and putt and walking paths which wind through the lush grounds; all behind the guarded gates of one of Rancho Mirage's most unique and prestigious developments. 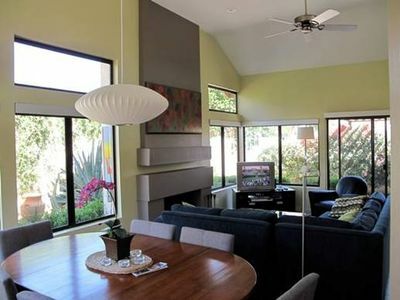 Our home features 3 bedrooms and 3 bathrooms, granite counter in kitchen, sky lights, and wood shutters. 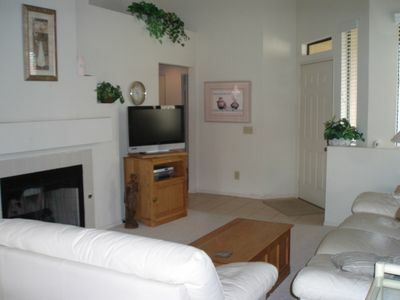 The cozy living room has a gas fireplace where you can relax as you watch your favorite show or view the private lake. 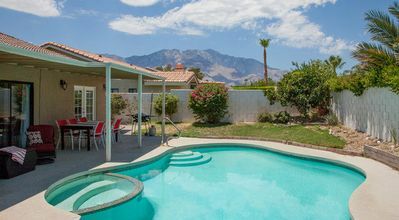 Sliding doors from the living room lead to one of the covered-patios, where you can BBQ and entertain your guests as they relax and enjoy peaceful views of the lush grounds, private lake and mountains. 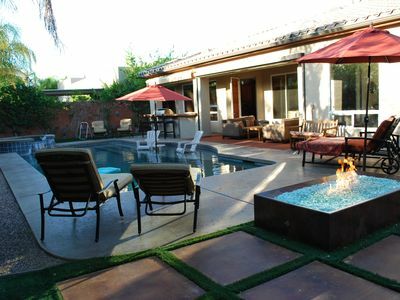 You and your guests can enjoy the spa, which is heated throughout the year, and located right behind the property for easy access. The master suite has Cal-King bedroom set, which connects to the master bathroom offering a walk-in jet tub, as well as a shower, dual-sinks, and separate toilet area. The master suite also has a large walk-in closet. 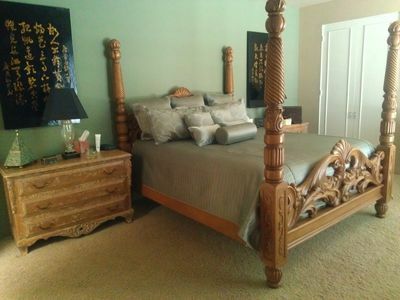 One of two guest bedrooms offers a two sets of bunkbeds and an additional twin bed. One of the bunks is a comfortable double bed - all with new mattresses. This guest room has a private bathroom with a tub/shower combination. 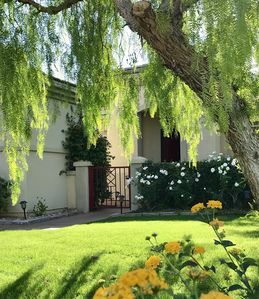 The second guest bedroom offers two comfortable twin-size beds, a large closet and an attached bathroom with a large walk-in shower. 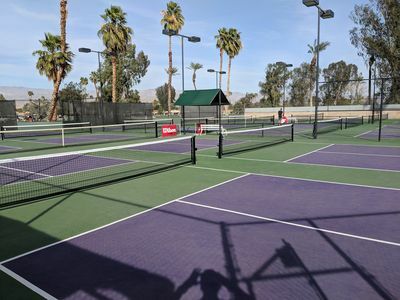 The home has an inside laundry room, located off the hallway, with large capacity washer and dryer – and there is a two car garage with plenty of space to store your tennis racquets, golf clubs, and bicycles. 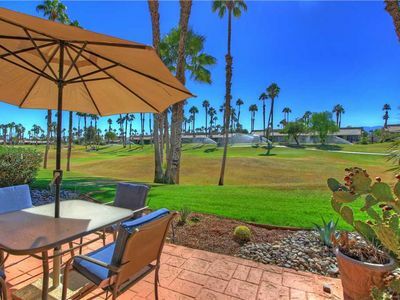 This is one of the desert’s most desirable gated communities, and conveniently located off Country Club between Bob Hope and Monterey Ave. 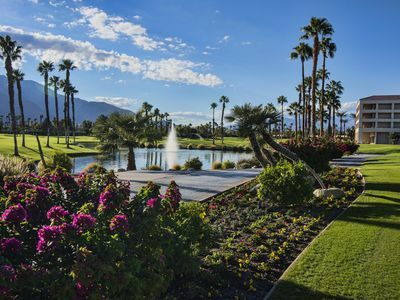 The Agua Caliente Casino is located about 5 miles away, and 'The River' at Rancho Mirage, located 2 miles away, offering fine and casual dining, a multi-plex cinema, and shopping, is just minutes away! 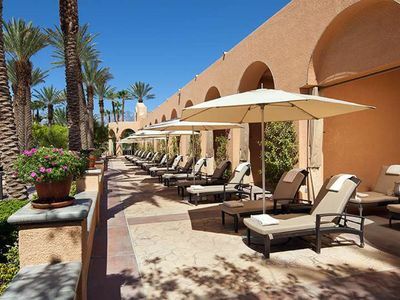 The beautiful Ritz Carlton is just a few miles up the street. 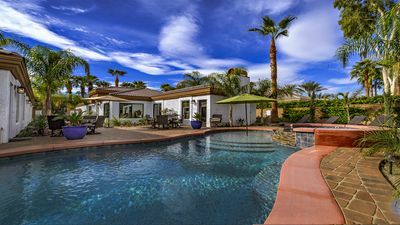 The Westfield Shopping Mall, Cabazon Outlet Mall, The Living Desert Zoo & Gardens, Indian Canyons(hiking) and the Eisenhower Medical Center are just a short drive away; and don’t miss the El Paseo shopping district (the Rodeo Drive of the desert) and the College of the Desert weekend Street Fair. 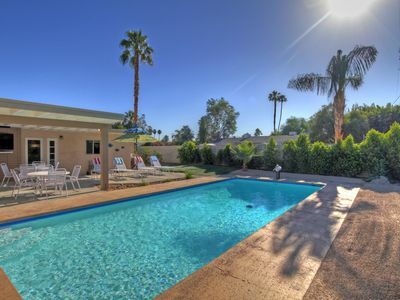 LOW RATES THAT INCLUDE POOL HEAT, 5 STAR REVIEWS, COZY MID-CENTURY VIBE!!!!! 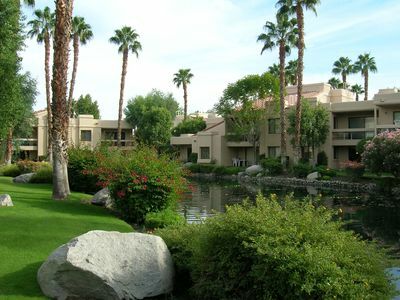 Westin Desert Willow 2 Bedroom Lock-off April 13-20, 2018 Coachella Festival! 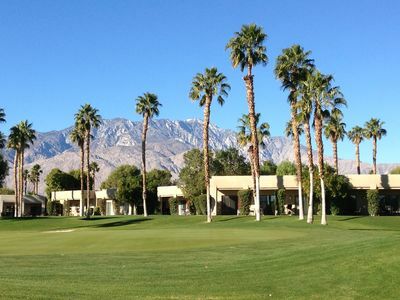 VS642 - Palm Valley CC - Total Charmer! PET FRIENDLY! 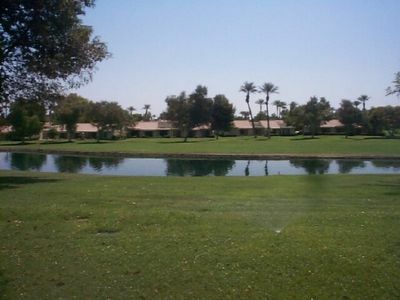 PC710 - Palm Desert Resort CC - Lovely Golf Course & Water View Setting!